At The Little School, we are continuously expanding and refining our outdoor and nature-based learning. 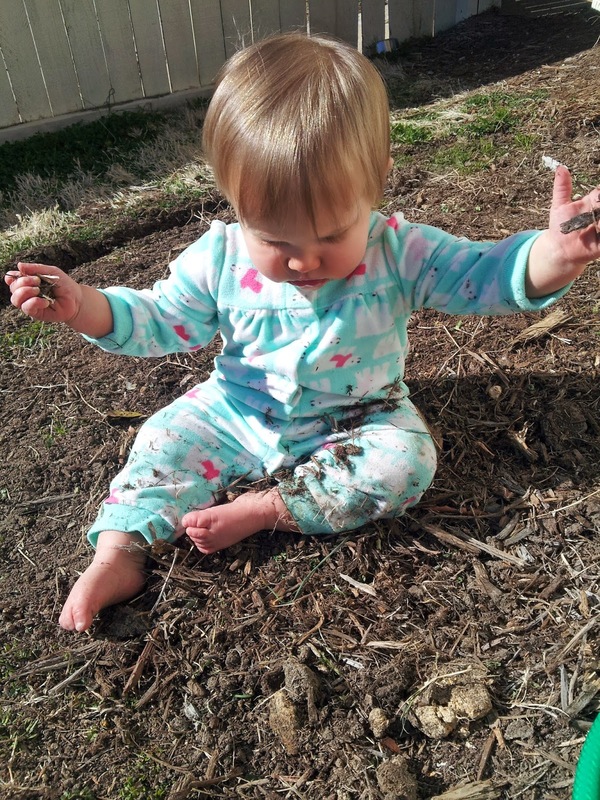 We start introducing TLS kids to the wonders of nature early on – letting our youngest explorers play in the dirt and seek out what is of interest to them as soon as they are able to crawl. We know that regular time out in nature is good for people of all ages. A growing body of research shows that we need to be in natural settings regularly to be optimally healthy – both mentally and physically. There is ample evidence that time out in wild spaces significantly reduces stress levels in children and adults. In fact, the denser the tree canopy the greater the drop in our cortisol levels. Children are more cooperative, happy and engaged when out in natural environments; and children with behavioral or attentional challenges experience far fewer symptoms in natural settings. There is also another set of benefits from regular fun exposure to natural habitats. Positive direct experience in the out-of-doors and being taken outdoors by someone close to the child—a parent, grandparent, or a trusted teacher or friend—are the two factors that most contribute to individuals choosing to take action to benefit the environment as adults. At The Little School we do many things to ensure our children to develop a direct and positive relationship with nature. 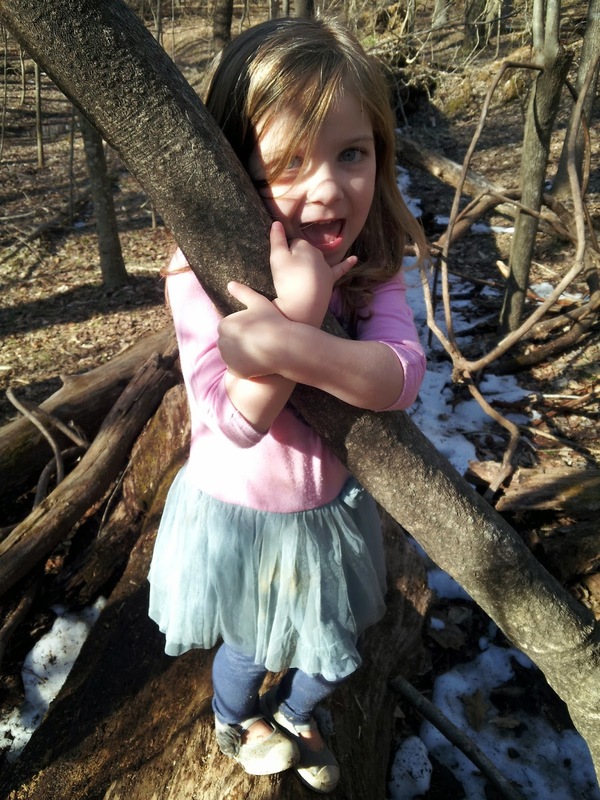 Children are taken on hikes in the woods regularly where we climb trees and play in the creeks. As they grow with us here at The Little School we will help them to understand how we can help care for the earth. We have begun to partner with community groups to do engaging projects which teach core conservation principles in a child-friendly way. Tom Driscoll, a retired EPA scientist and lifelong birder, came to both campuses and talked to all of our Pre-K classes about two kinds of birds we can help by putting up bird houses. Through his leadership role with The Audubon Society, he was able to get us bird houses for brown-headed nuthatches and blue birds to put up in the woods nearby and around the school grounds. In exchange for these birdhouses, our preschoolers are becoming citizen scientists as we go out and check the birdhouses for nesting and hatching activity and record this activity in a national database. Our preschoolers learned that brown-headed nuthatches rely on the holes made in trees by woodpeckers, and if there aren’t enough of these holes they need us to help them out by putting up birdhouses on pine trees. 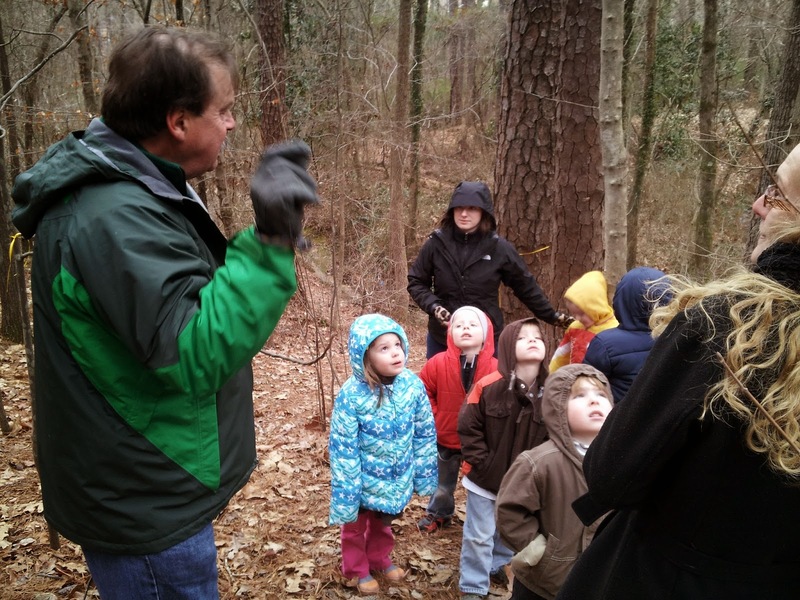 A Duke parent and environmental educator from The Nicholas School for the Environment organized a field trip to a nearby creek which has been restored by Duke. 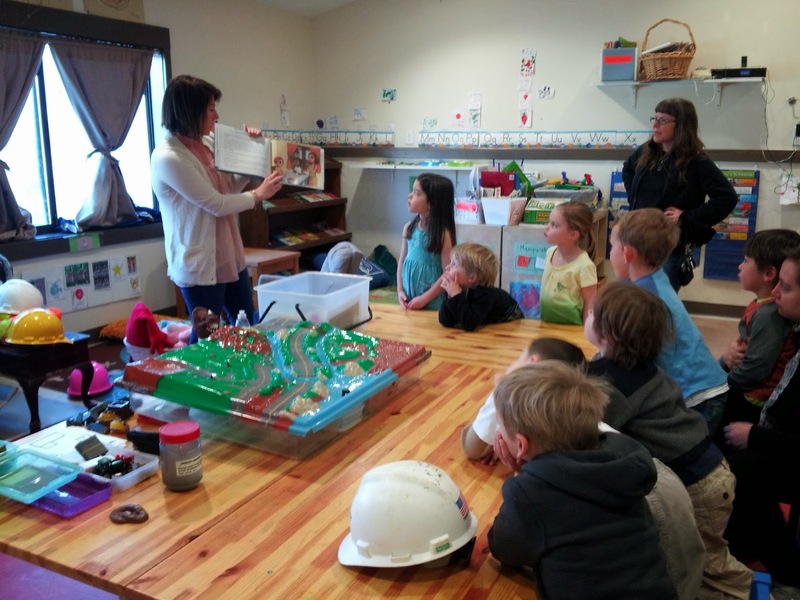 She brought along an Enviroscape watershed model and a story book, All the Way to the Ocean, to demonstrate how things like litter, fertilizer, mud and motor oil find their way into our creeks. From our creeks things flow to rivers and lakes and eventually all the way to the sea. At both campuses once the weather warms up we will be measuring the health of the creeks by looking for macroinvertebrates (creek bugs) under rocks and on the water surface. Our outdoor learning educators, Monica, Cole and Erin, recently attended a Project Wet two-day training class to learn all about this and other fun ways to teach our kids about the importance of our nearby creeks. One of the main lessons we want to teach again and again is how interconnected natural systems are and that we are a part of these systems. All of our pre-K classrooms now have worm bins which are a great way to teach this principle. 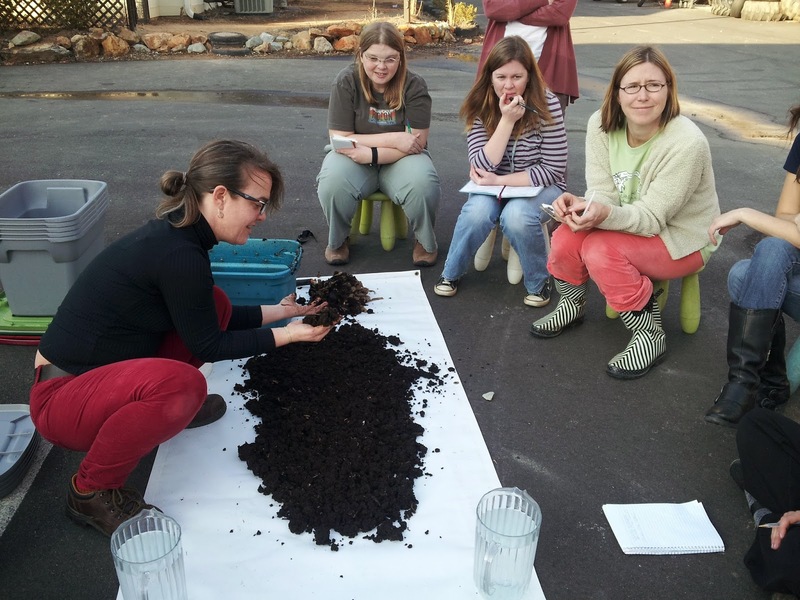 A group of 6 teachers all learned how to make a worm bin while making their classrooms worm bin at a recent workshop put on for us here at TLS by Murial Willman with Orange County Solid Waste Management. The kids feed their worms leftover fruit from snack and then the worms make the best fertilizer known to man. We will use this compost to grow seedlings for our very own gardens which place food on our lunch tables – the circle of life just keeps on turning here at TLS. "The right to act like a robot"